“So, where do you want to go for Golden Week?”, I nonchalantly whispered to my ever-patient wife. I already knew what the answer would be before the words left her mouth: “The mountains, of course”. How could I top last Golden Week, when we frolicked on the snow-covered slopes of Zao’s mighty figure? Perhaps an impressive volcano a little closer to home, I creatively thought. Then it hit me: why not take a second stab at Daisen, a peak where I had absolutely no time to appreciate. 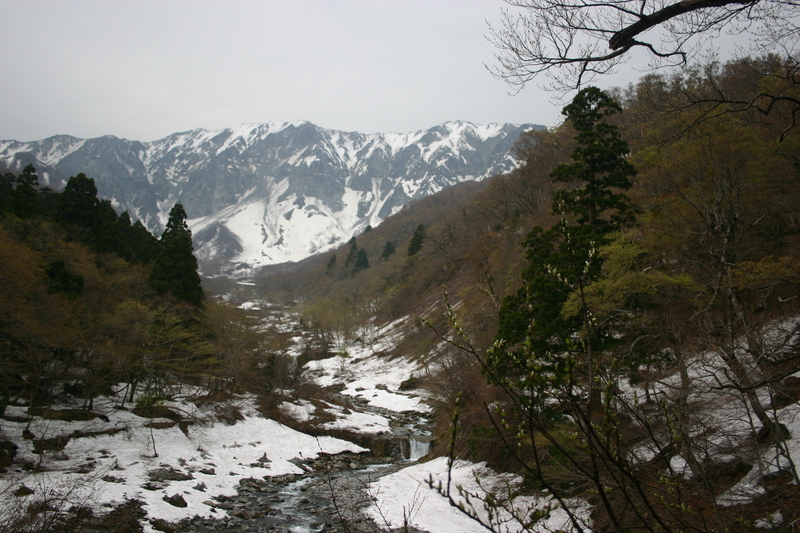 I bought the bus tickets, booked the shukubo for 2 nights, and studied photos of the snow-filled gullies. 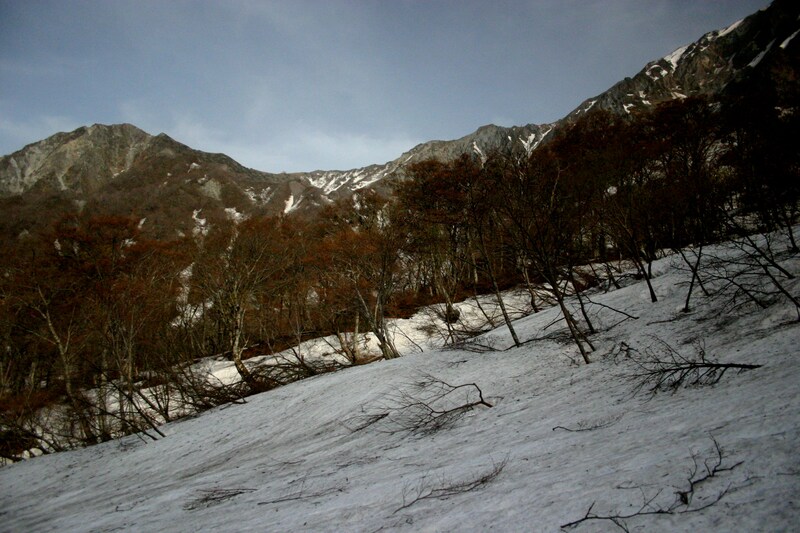 The stage was set for the rematch with Tottori’s highest peak. We boarded exactly the same bus I’d taken nearly a decade earlier, arriving around 2:30 in the afternoon. Thunder boomed overhead as the winds picked up and the clouds looked as if they’d release their water-soaked pores at any moment. We ducked into the visitor’s center to pick up free maps and inquire about climbing conditions. Wandering out of the shelter of the warm building, we both marveled at the slopes of the mighty volcano, still free of cloud cover despite the encroaching storm. Intimidating from this angle indeed, as most mountains usually are when wrapped in a blanket of white. We pushed on up the main street, passing by shuttered storefronts that had clearly seen better days. Just before the gate of Daisenji, we found our accommodation snuggling next to a giant Cryptomeria tree. In spite of the place being deserted, the monk in charge cheerily greeted us and showed us to a large room tucked away on the 2nd floor of the aging compound. 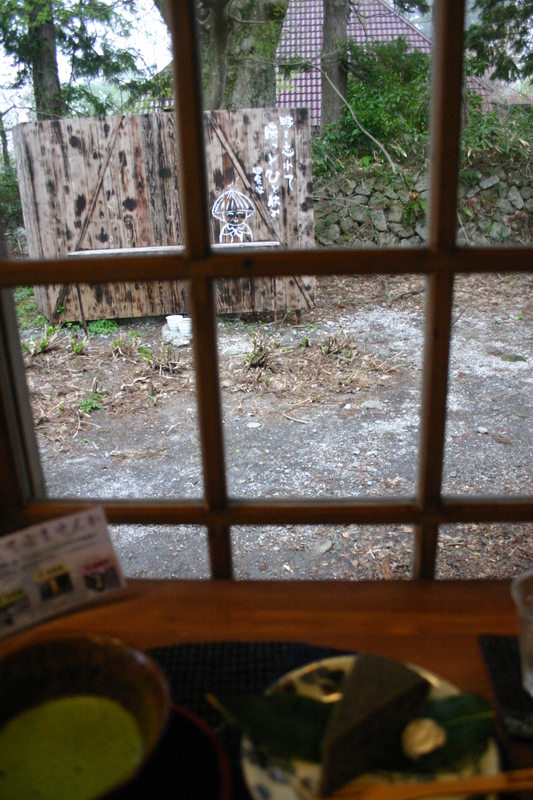 We had a birds-eye view of Daisen from our window, the perfect place to assess conditions for our impending climb. 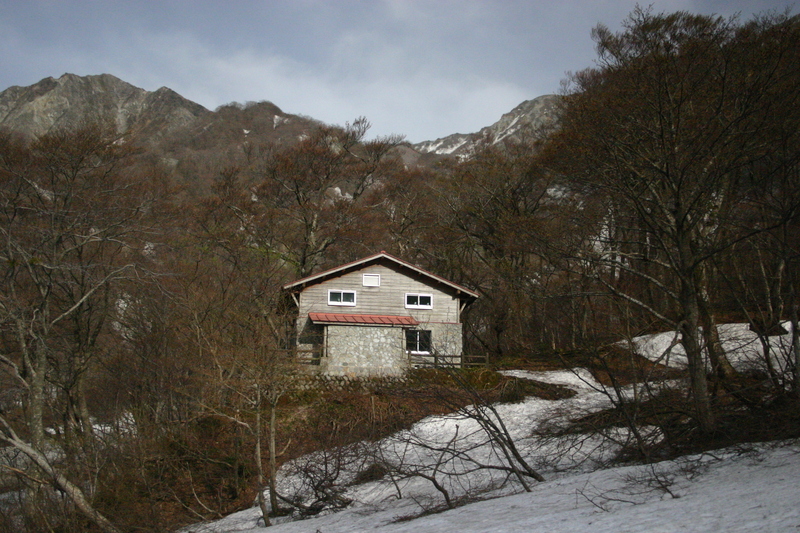 Once unpacked, we slipped out and through the main gate of Daisenji, climbing the steep set of stone stairs to the main building. The rain started as if to say hello, but quickly retracted its greeting as soon as I raised the umbrella. Drenching worshipers certainly wasn’t on Mother Nature’s mind at the moment. 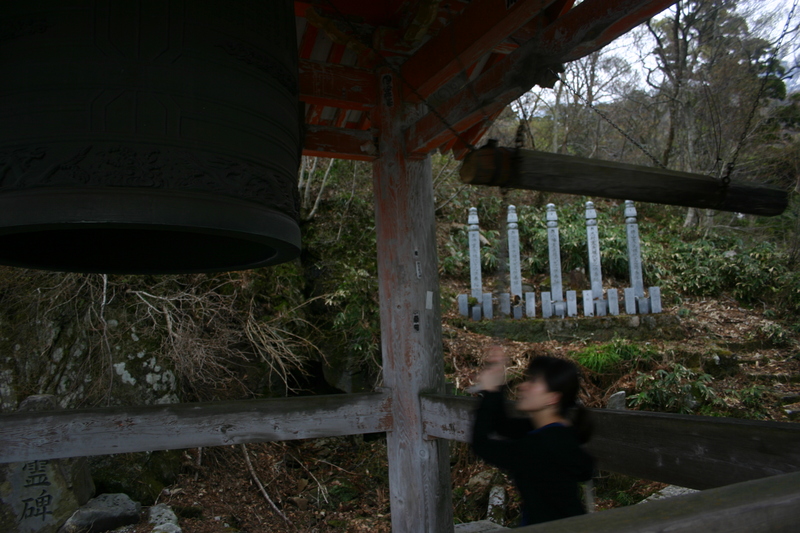 We rang the ancient temple bell and continued climbing on the stone path towards Okamiyama Shrine. The snow lay in deep pockets all around, elegantly stroking the curves of the ancient pilgrimage route. We reached the shrine, praying to the mountain gods for a safe ascent. The clouds, while looking ever-menacing, failed to deposit their payload of rain. Kanako and I retreated down the valley, spying a well-hidden spur that led to an incredible lookout of the valley below Daisen’s unworldly slopes. We chatted with a semi-professional photographer from Hiroshima before returning to the confines of the shukubo and its hot spring waters. After feasting on traditional vegetarian Buddhist cuisine, we settled in for a bizarre night of observing nature’s wrath. The winds had picked up 10-fold, shaking the entire building with each powerful gale. Each fit of sleep would be abruptly severed by the vibrations of the window panes clattering in their worn frames. We somehow survived until the obscenely early breakfast sitting at 6:30am. The approaching low-pressure system had not only brought the winds, but also the cloud. Daisen was fully socked-in, and we abandoned all hope of attempting the summit before we even started. Kanako and I did the only logical thing: we climbed back into our futon! Shortly before noon, the hunger pangs rustled me out of my slumber and I soon found myself shaking Kanako back to reality. I’d studied the free maps we’d received the previous day and was keen on checking out a hidden trail before lunch time. The path skirted the edge of Daisenji temple before dropping to the river. Swollen by the spring thaw, I managed to find a safe crossing a few meters upstream, while Kanako meticulously examined my technique. 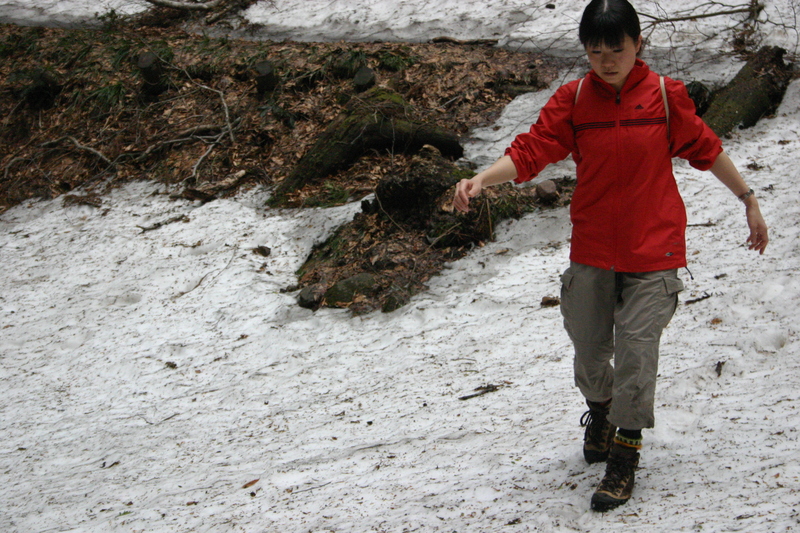 Once across, she quickly followed suit, using her Taichi skills to help keep her balance on the precarious rocks. The path quickly vanished into the snow, but I eventually figured out where the path should go if there weren’t any snow around. 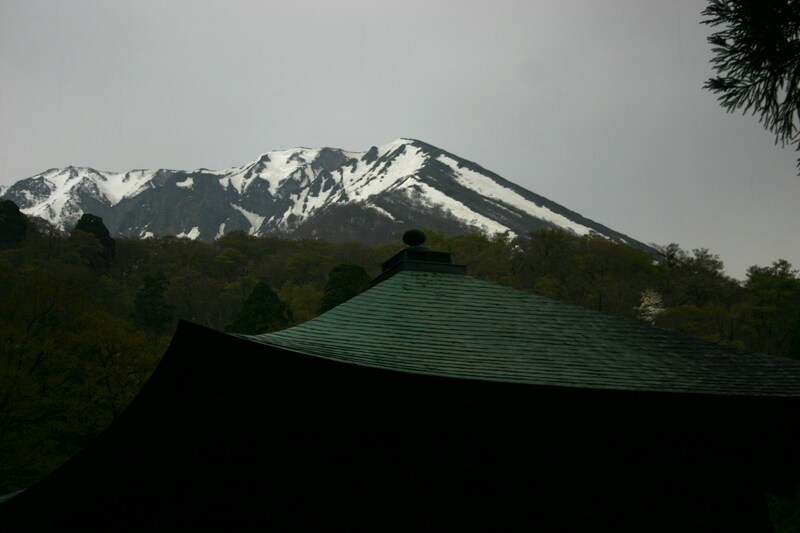 We’d left the crampons back in our room, but we took turns kick-stepping before finally arriving at Amida temple. Just before the main building, we crossed the trail we’d be taking the following morning if the weather decided to give us a chance. Two defeated hikers slowly descended from the slopes above. They’d made it just above the 5th stagepoint before abandoning their summit attempt. We knew we’d make the right decision. Back in town, we feasted on noodles before checking out the massive new Montbell shop that opened within the last few years. Built to capitalize on the yama girl boom, the shop was filled with young ladies trying on down skirts, windbreakers, and other fashionable outdoor goods. They even had their own limited-edition Daisen shirts that were only being sold at this particular Montbell branch. It’ impressive how quickly some companies can adapt to a changing customer base. The next stop was a rustic temple that had been converted into a wonderful cafe with outstanding coffee and delicious sweets. The cloud outside continued to get thicker, as visibility dropped down to only 1 meter. The kind owner told us about the changing face of Daisen: “30 years ago, there were nearly a dozen different shukubo accommodating the Buddhist pilgrims, but now there’s only one. Most visitors come here in the morning, climb Daisen, and drive away in the late afternoon.” Looks like Daisen is becoming another victim to a country slowly being enveloped by the automobile craze. The caffeine really got my batteries charged, so while Kanako headed back to the room for a nap, I sprinted up the valley in the surprising afternoon sun. The clouds had lifted completely, revealing the best weather of our entire trip. Up past the shrine, I did a quick recon mission to check out snow conditions for our climb the following morning. 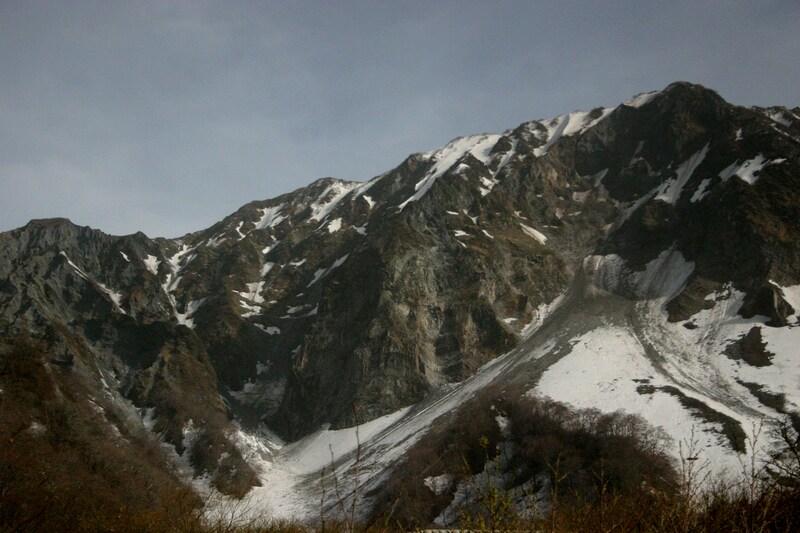 I reached the massive network of dams in no time, crossing the still-frozen river and up into the long snow-gully. I spied an emergency hut nestled at the edge of the trees. I don’t remember this hut the first time around. It could have been because I couldn’t really see anything during my initial trip. I continued a hundred meters or so up the valley, failing to see where the ridge trail spilled out into the gully. We’d be descending this route anyway, so it wasn’t imperative to find the junction. The golden light on Daisen’s rocky face was magical, and I regretted not making the decision to camp here. Of course, if the clouds never broke I’d surely never have pondered that thought. I raced back to the temple in time for dinner, and traced out the route in my head that night before drifting off to sleep. The weather was looking stable for the climb and the winds had died down completely. Everything was set, but there’s one other thing we’d forgotten to factor in. Stay tuned….